near Naeba Ski Resort Japan is a new snowcat operation that offers emerging powder hounds a great opportunity to lap pristine powder runs. Naeba is a good sized ski resort that’s quick to access from Tokyo so understandably it’s very popular, but if you want to get away from it all (including the J-pop music!) and ski or snowboard some fresh tracks, Mikuni Cat Skiing is the place to escape to. Once upon a time, Mikuni was a ski resort, but the lift structures have all been removed and the only tell tale sign that it was a ski resort, is the presence of the cut piste. 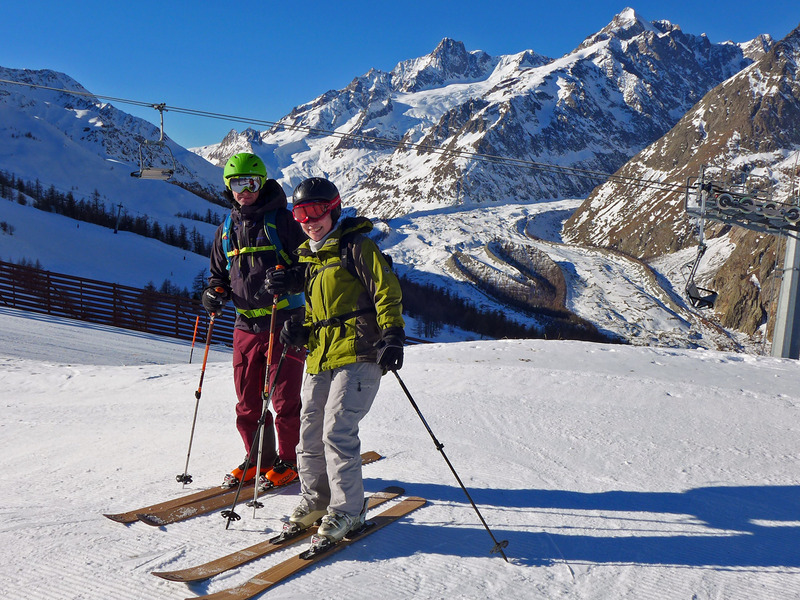 So whilst the guides treat the terrain like the backcountry and none of the runs are groomed, the piste makes Mikuni Cat Skiing ideal for powder and backcountry newbies, whilst some of the tree skiing will provide some challenge for advanced riders. If you’re an expert looking to launch off cliffs, ride gnarly steep lines, expose yourself to high avalanche danger, or ski maximum vertical, Mikuni is not the spot for you. However if you want a relaxing environment to enhance your powder skiing or a chilled day of riding, Mikuni snowcat skiing is for you. 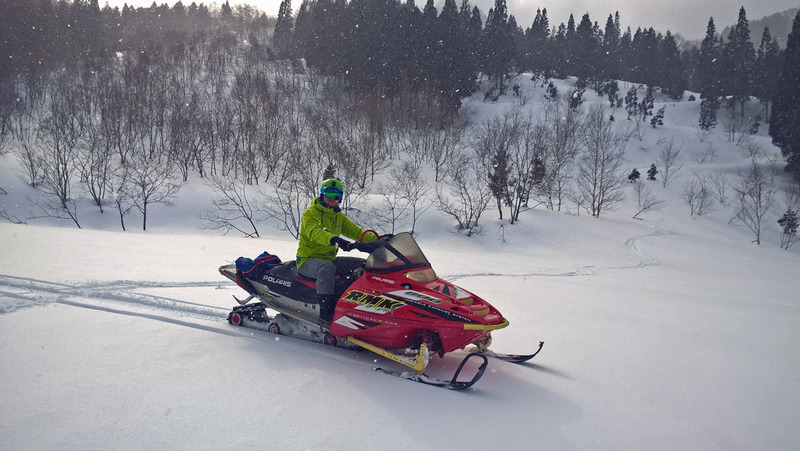 Mikuni cat skiing is located about 5 minutes drive from the Naeba Ski Resort, which is 23km from the town of Yuzawa in the Niigata Prefecture, which can easily be accessed by bullet train from Tokyo in only 70-90 minutes. In addition to ease of access, another advantage of the area is that there are many ski resorts to choose from including Kagura, Gala Yuzawa, Kandatsu Kogen & Hakkaisan. At 9am you will be picked up from your Naeba accommodation. Or if you are self-driving you can meet at the Prince Hotel south gate parking, and you’ll be picked up from there. The day cat skiing packages include the guided cat skiing with a maximum of only 10 guests per day. The lead guide is an experienced and qualified mountaineer. Avalanche safety gear is provided including an avalanche beacon, shovel, probe and backpack. Powder skis are not provided but can be rented from the Powder Station at Kagura Ski Resort. For snowboards Xraeb sports in Yuzawa rent all-mountain boards (but not powder boards). Advice regarding other equipment and clothing can be provided upon placing a booking enquiry. Transport is provided between your Naeba accommodation and the snowcat staging area. The minimum ability level required is that of a strong intermediate skier or snowboarder. Mikuni is a former ski resort and there are about half a dozen open runs that are rated as intermediate (although they are not groomed) with an average pitch of 28 degrees. For advanced riders there are tree runs that vary with respect to the tree spacing, and are about 20-30 degrees in pitch. Terrain elevations range from 1,120 metres to 1,547m. Run lengths average about 260m of vertical, with a maximum of 400m. Depending on the conditions and the speed of the group, a typical day consists of 5-8 runs per day. Tom Greenall and Kiyoko Yamaguchi. Originally from the UK Tom is UIMLA International Mountain Leader, focusing on the mountains around Chamonix,. Also AIARE level II avalanche trained and Wilderness first responder first aid. Please meet us at Mt. Naeba Ski Area, South Gate. Or let ys know where you are staying and we will pick you up. We meet at Mt. Naeba Ski Area, South Gate. “Yuzawa – Mamata – Kashiro Hot Spring – Asakai – Seibu Crystal Line”. Get off at Naeba Ski Area and will come and pick you up. A Snowcountry instructor at play.